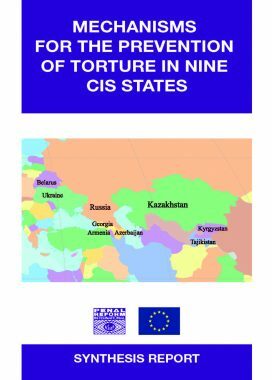 This research report assesses the legislative framework, conditions of detention and the development of monitoring mechanisms, with a particular focus on the establishment of civil society monitoring mechanisms and the National Preventive Mechanisms under OPCAT, in nine states of the former Soviet Union: Armenia, Azerbaijian, Belarus, Georgia, Kazakhstan, Kyrgyzstan, Russia, Tajikistan and Ukraine. act as a basis for countries about to establish such bodies. The research was presented at a cross-regional international conference in Tbilisi in June 2012 involving experts and government representatives from all nine countries. Read a report from this conference. Available in both English and Russian.